Premodern is a community format, its success being the sum of your interest and engagement in playing it, promoting it and organizing events. I hereby introduce the Premodern Magic Community Award, acknowledging a person who has done something extra for the format during the year. The award for 2018 is given to Matteo ”Mr Magic” Caravatti from Italy, with the following motivation. Matteo is an early-adopter of the format (outside of Sweden) who works hard to organize events and coverage, and he does so with contagious enthusiasm and positive energy. 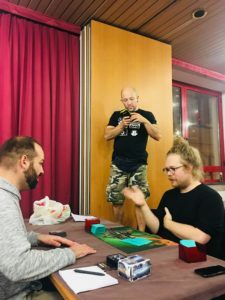 Matteo runs the local game store Mr Magic in the city Savona in the region Liguria, where he has been hosting several local Premodern tournaments. (If you’re in the Facebook group you might have seen him streaming some game play.) 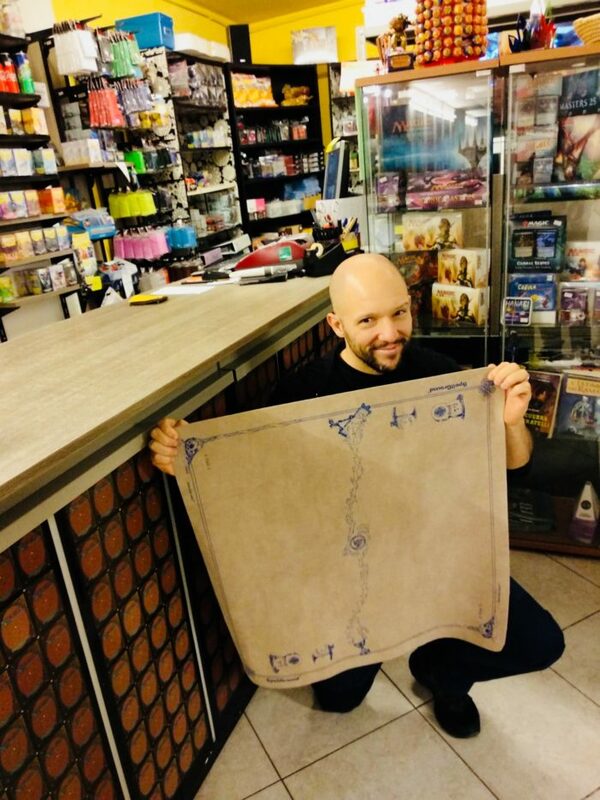 He was also a co-organizer of the European Championships, where I announced the award and handed over a nice two-player Khalsa Brain Spellground playmat as a prize to Matteo. I did the following interview with him some time ago. Mr Magic in his natural habitat. The mat might come in handy for streaming feature matches. Martin: Tell me a bit about yourself, how and when did you start to play Magic? Matteo: I am 39 years old, I met this extraordinary card game an anonymous winter afternoon. I was at the home of a friend who had bought an introductory deck of the third edition (Revised), and from that day it was love at first sight. I was fascinated by the green colour, and the name of my first role-playing character, Hartagh the Craw Giant, is inspired by the Legends card. Martin: You run a Magic store in Savona, Liguria. Tell me a bit about that, what’s the story behind? Is it your full time job? Matteo: Yes, it is now more than five years that, together with a dear friend, we have given life to a dream, to create a place exclusively dedicated to Magic, a welcoming meeting place that makes you feel at home. It is my full-time job, and time is never enough. Fortunately with the epic support of my partner Riccardo Rolla, we struggle every day to keep this activity open. Martin: How would you describe your local Magic community? Matteo: Savona has always had a very strong community linked to this game, since the time of Vintage. 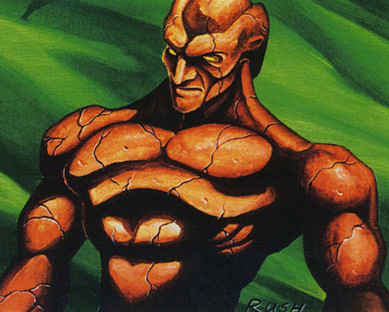 Currently, the main formats that are played are Modern, EDH, Premodern and Legacy. 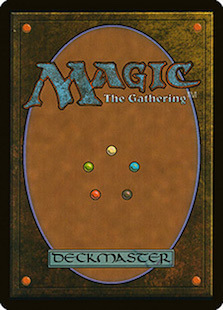 Mr. Magic tries to support all formats, making himself available to lend cards or to host private external organizers freely. Martin: How did you discover the format Premodern? Matteo: I discovered the format through the website and, like Old School 93/94, it has taken hold of my heart recalling a great emotional transport. I have never played professionally, but with friends I played the Invasion block cards with passion. However, Premodern has the great merit of being a very “evocative” format, giving the possibility to savour the mechanics and synergies that have made the history of Magic to this day. Martin: Italy has the largest Premodern community in the world, why, do you think? Martin: Do you have any advice for growing your local community? Matteo: The Italian community is very competitive. When I meet new players I insist a lot on their reception with the old players. I have seen too many abandon the game for out of place or exaggerated comments about deckbuilding choices or game errors. First of all—respect—otherwise I’ll take you by the ear and take you out of my shop. Martin: You put a lot of effort into organizing MTG events, but do you have any time to play yourself? Matteo: Unfortunately the life of the shopkeeper leaves me very little time to play, and sometimes I suffer because keeping the link active with the game helps me to understand how the cards evolve and advise the players in the deckbuilding. With Premodern it’s fortunately a different topic, because thanks to my mental database I have an excellent knowledge of those cards. However, I mainly play Modern, 93/94 and Premodern. Martin: If I understand right, you love mono green in 93/94? Is it your favourite archetype in Premodern too? Any other favourite decks in Premodern? Matteo: You’re right my friend, green is the color of my soul and I play mono green both in 93/94 and in Modern (Devotion). In Premodern I compulsively began to accumulate cards of all colours, but now I think I have found a combination that satisfies me. I opted for two colours,green and blue, and focused on the skill of Tradewind Rider and the deck is mainly composed of creatures and as support spells I chose Pack Hunt and Curfew. I’m curious how it will behave on the battlefield. 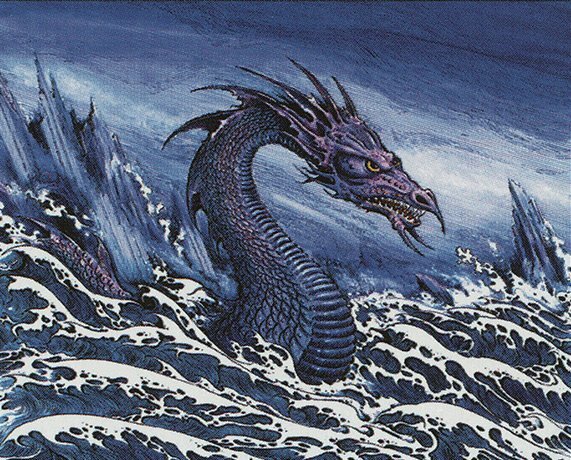 Martin: Looking forward, do you have any Premodern events planned for the remainder of this year or 2019? Matteo: Yes! I have scheduled a tournament on December 21st in the evening, and moreover I will send a live table. For 2019 I have not decided yet, but my intention is to schedule a Premodern event every month. I hope you enjoyed the read. Until next time!